This photo does not even begin to do my recent adventure justice. One of my closest friends from high school, Emily Holloway, came to visit me and after a super girly day of shopping and manicures, we decided to have a sleepover. 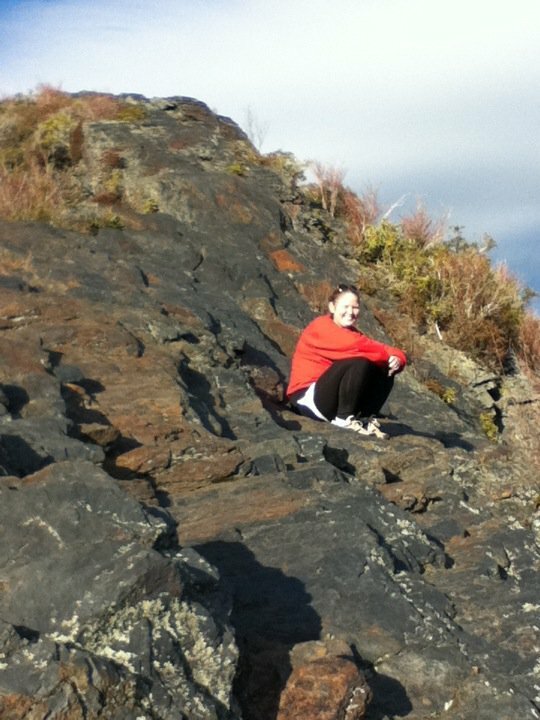 After a night of girly fun, we woke up and decided to trek to the mountains and do a little hike. We settled on hiking the Chimney Tops since it was only 4 miles round trip. Longest 4 miles of my life! More than half of the trail was covered in slippery ice and we were constantly gasping and squealing when we would slide. 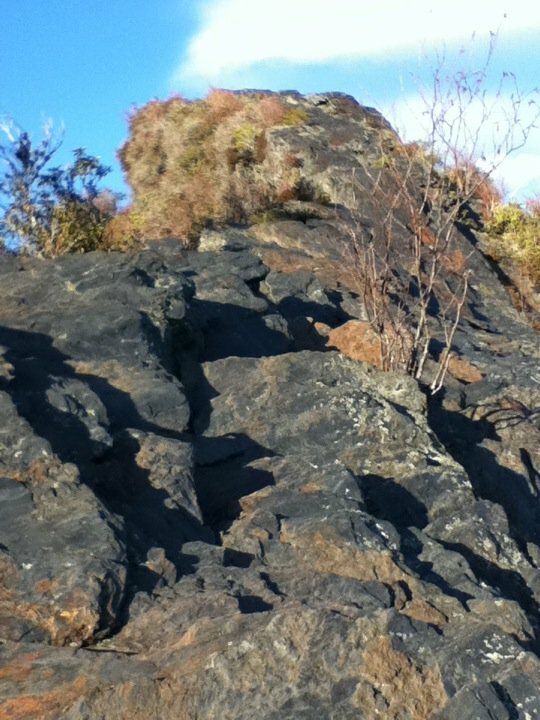 After a long 2 miles, we finally made it to the rock face in which we had to climb to actually see the view. The above picture was taken at the bottom of the rock, and we managed to make it halfway before calling it quits. We still had a spectacular view and the pride of a job well done on climbing dangerous mountains with fresh manicures. By the time we made it down to our car, it was almost completely dark and we had bruised butts. Overall it was a great trip and we were so blessed to have fun while exercising. Look on for more pictures from the trip. 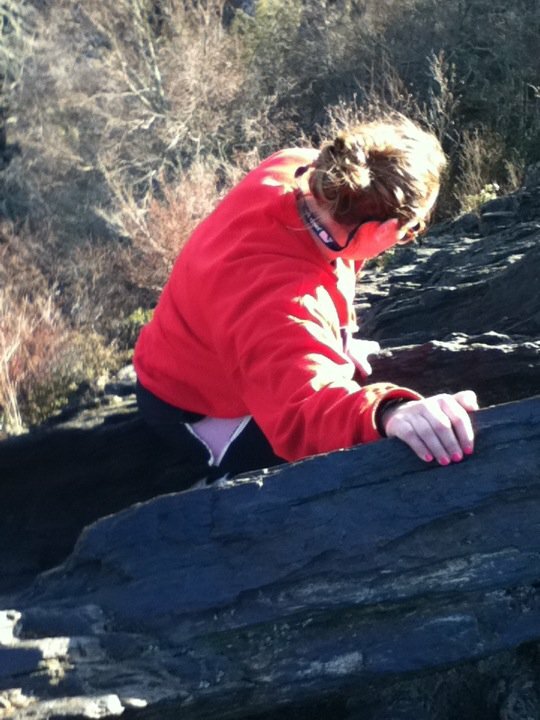 Climbing back down the rock face. Notice pink fingernails. 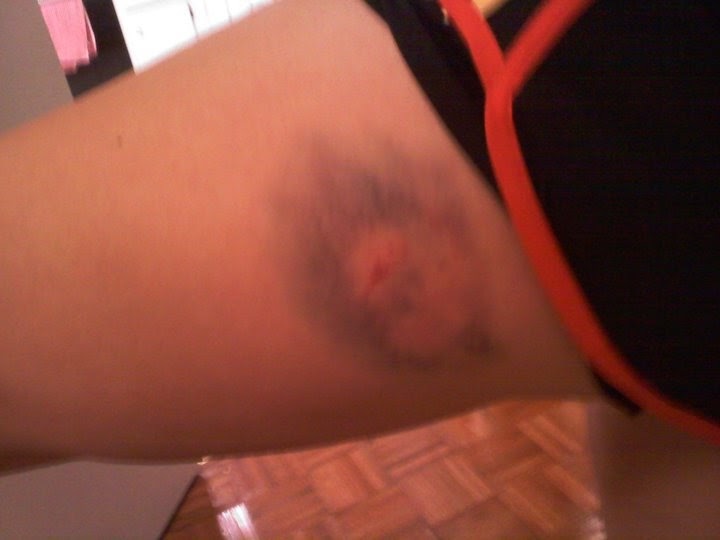 My attractive bruise the next day after falling.